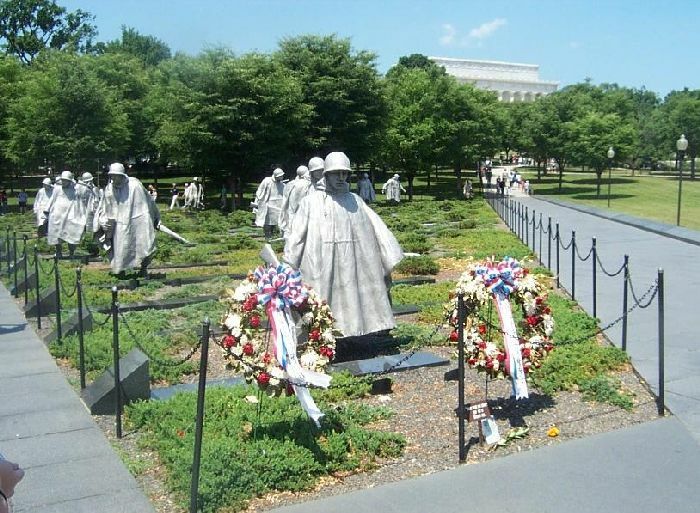 hatlie.de Korean War Memorial on the Mall in Washington, D.C.
Korean War Veterans Memorial on the Mall in Washington, D.C. 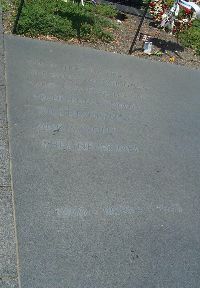 These pictures were taken on June 19, 2006 on the Washington Mall. 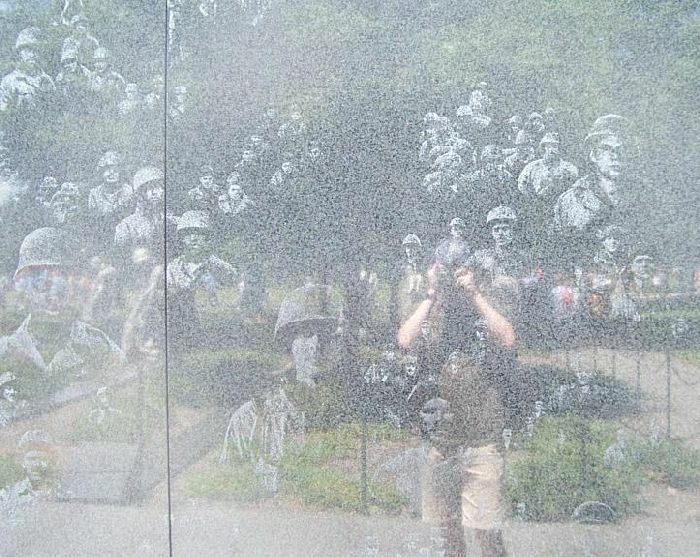 This memorial was put up after the nearby Vietnam Memorial in the 1990s. 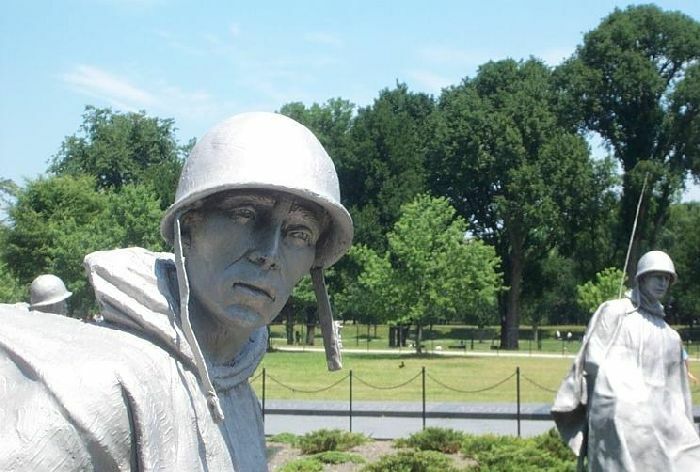 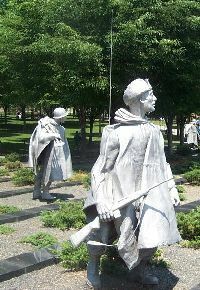 Coming from the direction of the Lincoln memorial, you approach the memorial from behind the soldier figures. 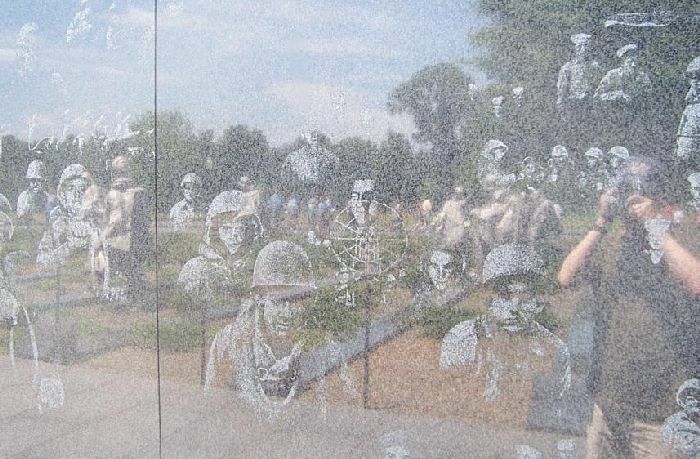 Along the right, there is a long reflecting wall showing whispy images of American servicepeople. 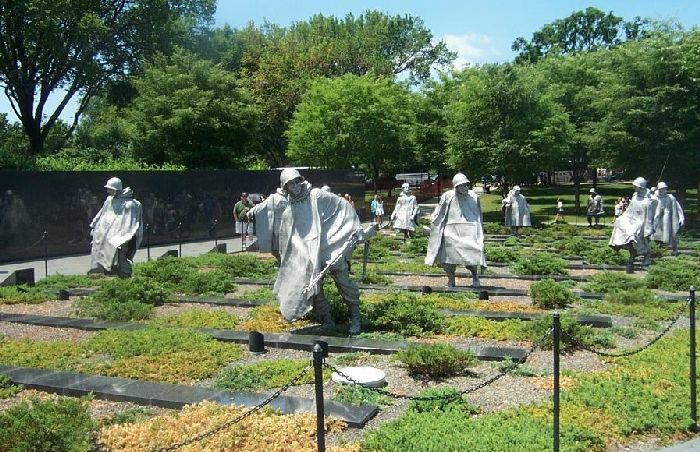 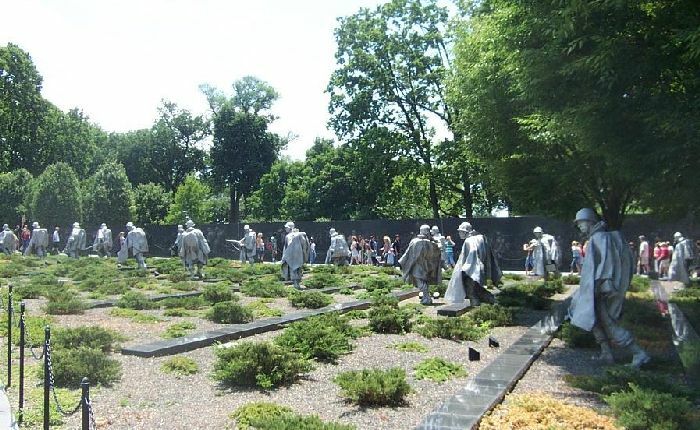 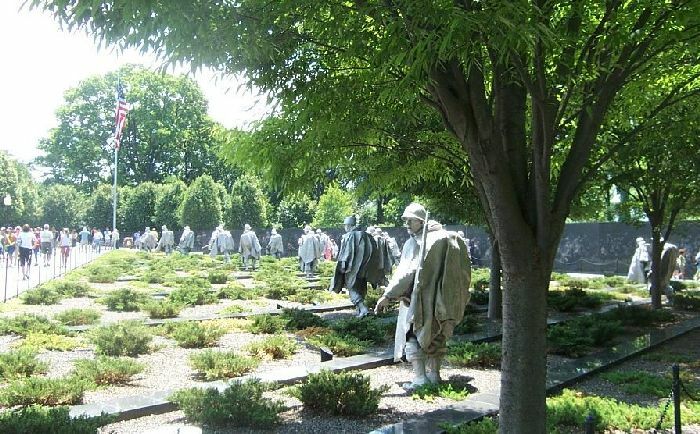 To the left of the soldier figures, along the grass, the names of all the countries who contributed troops to the U.N. defense of South Korea are listed. 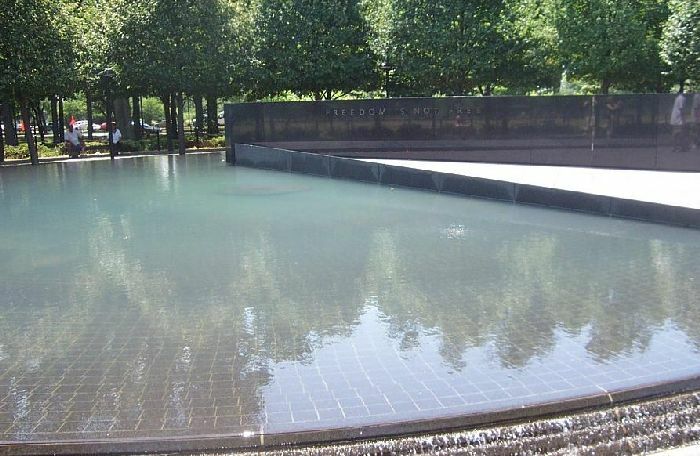 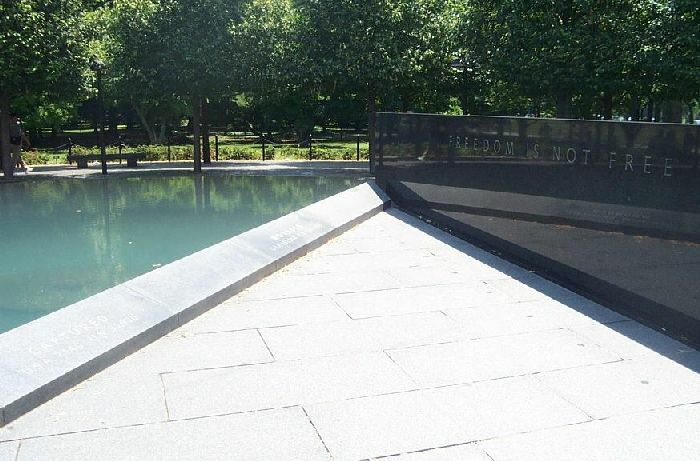 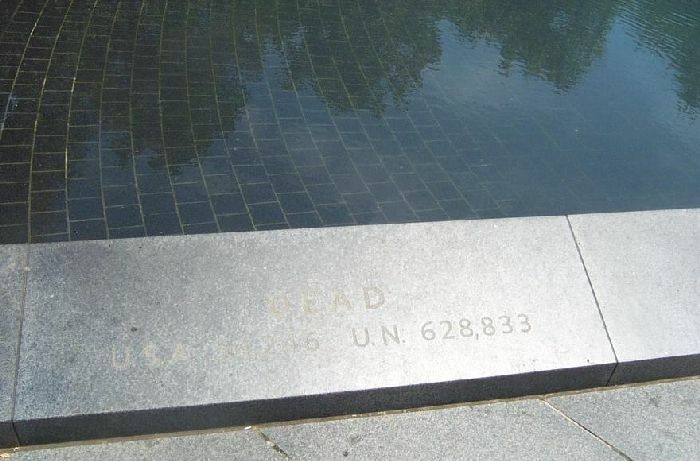 Toward the end, where the shallow wall meets the black reflecting wall at the pond, it lists the dead, missing and wounded for the United States and for the United Nations. 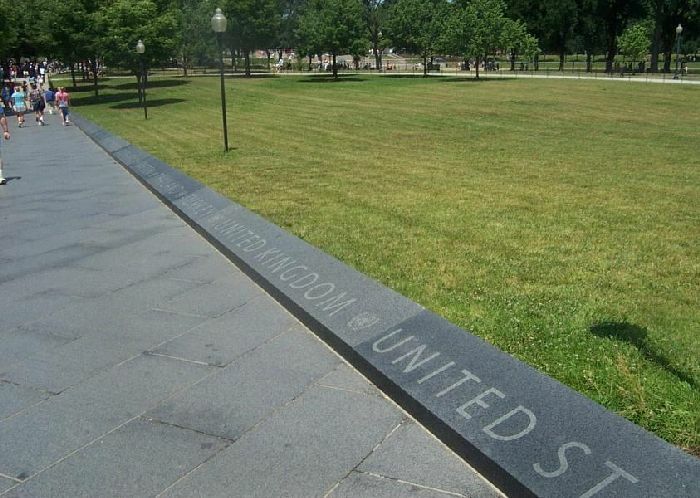 The Lincoln Memorial is visible in the background. 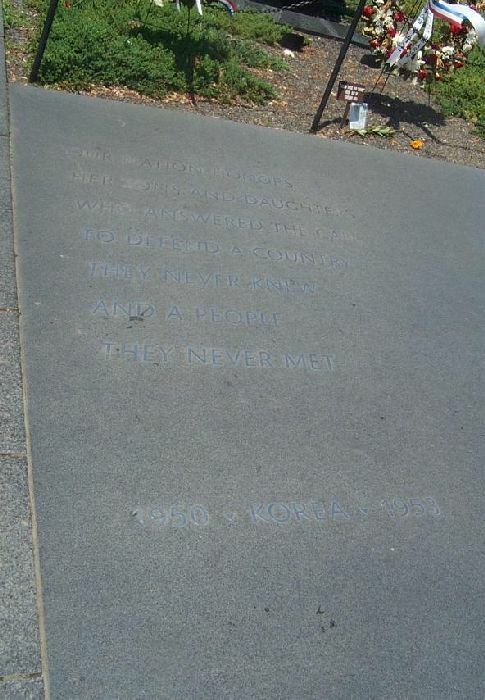 The wording in the sidewalk reads, "Our nation honors her sons and daughters who answered the call to defend a country they never knew and people they never met". 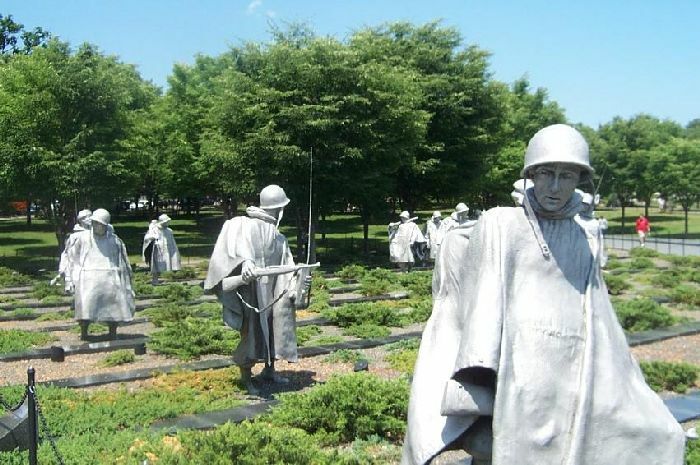 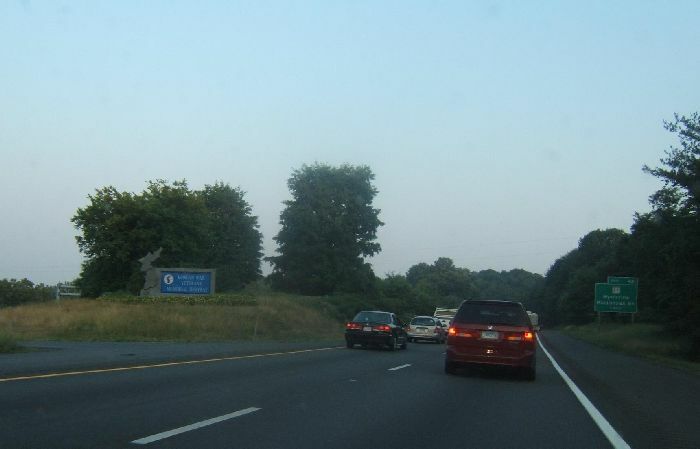 Near Washington, D.C., one of the highways is named in honor of the Korean War.